DigiShot Plus 4G is an easy to use precision blasting system engineered with blasters productivity in mind. Dyno Nobel's DigiShot Plus 4G is the fastest, most efficient electronic initiation system for any size blast. This system allows users to speed up blast layouts, prevent blast delays, reduce user errors, and improve blast outcomes. 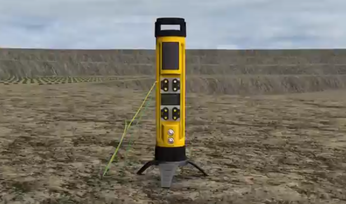 With blast cards to arm and blast, remote firing, encrypted blast commands, improved wall stability, and improved vibration, DigiShot Plus 4G is the industry's most advanced safety system. This electronic initiation system is the most advanced operating system, with its reliable outcomes that optimize crusher throughput, programmable blast patterns, and a maximum of 16,000 detonators, as well as its ease of use through fast and simple "tag by plan" method, automatic tagging and testing, storage of delay time in the detonator, monitoring of detonator energy up to blast, simple clip-on to busline, and user-friendly software. DigiShot Plus 4G features a new generation detonator, three robust wire choices with two delivery systems, multi-purpose tagger and commander, blasting cards, and Wi-Fi tablet. This new generation detonator uses an application-specific integrated circuit (ASIC) with 15 times more memory. It also stores delay time, unique hole IDs, down-hole wire length, identification number tracking, and has a GPS. "The detonator itself contains a new integrated chip. This chip has 15 times the available memory compared to our earlier systems. That gives us a lot of flexibility in working with our customers on how we set up a blast and what information we put into the detonator", Sandy Tavelli. "The 4G system that is designed to go along with this new chip also is a big step forward, in that we've put the majority of the emphasis in the tagger itself, so that it truly becomes the heart and soul of the system." Three wire choices from standard, deep hole coal, and XTM for extreme conditions. These wires come with two delivery systems between coil and spool and the benefits include reduced leakages, faster deployment, and reduced misfires. The CE4 tagger is used for remote initiation and on-bench tagging and testing (up to 400 detonators). 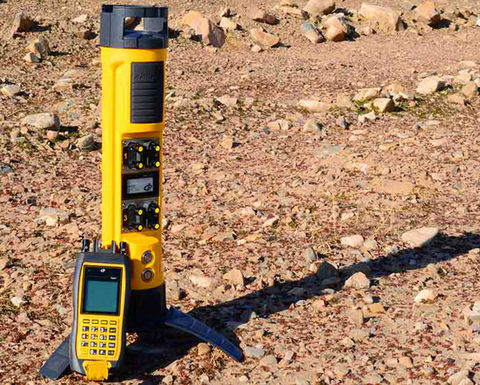 It features the blast by plan method with ViewShot software, writes delay times and unique ID, records GPS location and troubleshooting, connects to Wi-Fi, and is very user friendly. The unique commander is a three-in-one blast box, bench box, and repeater. It allows users to connect and go, limiting user interface with detonators. 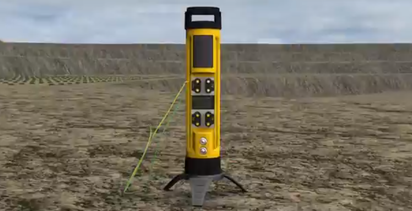 It has four channels per commander, 400 detonators per channel, and 1,600 detonators per commander and is designed for the harshest mining conditions. 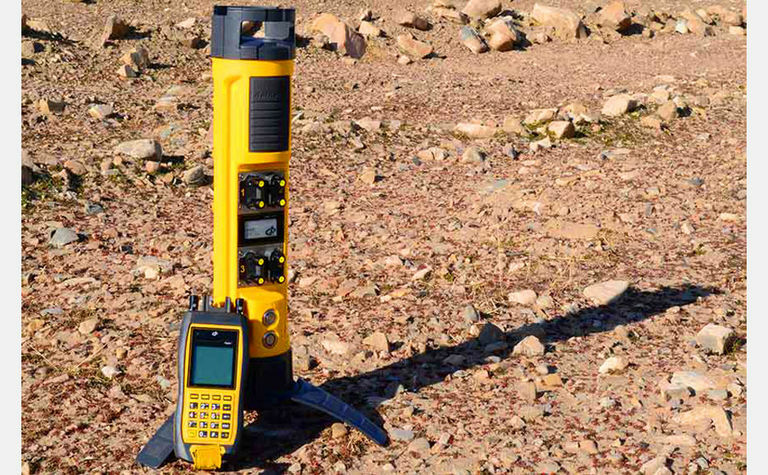 This commander features a GPS reference station, a built-in long-range antenna, with a 3,000m line of sight. With up to ten commanders wirelessly synchronized to blast, this commander allows a maximum of 16,000 detonators. Blasting cards allow users to tap to arm and tap to blast, decreasing misfires. They are password protected and wirelessly interact with the commander to transmit encrypted blast commands. The tablet is a bigger interface with full-color graphics, wireless connection, and ability to download and view full detonator lists, full blast design, and blast plan simulations. It also features "fault finding aid", which allows users to compare tagged and found detonators. It is easy to use and improves initiation management. The two programming options are tag by plan and time assignment for varying levels of blasting. Tag by plan is more of an advanced method of blasting that allows blasters to create a blast design using ViewShot, which is then downloaded into the CE4 tagger and tagged on-bench with the time from the plan or with the locations. Time assignment is a non-complex way of blasting that allows blaster to write the time directly into the detonator using the tagger and tag on-bench. Dyno Nobel is a global leader in the commercial explosives industry with over 3,770 employees, including some of the most highly trained blasters and technical experts in the industry.